Selling your home during the holidays may be the furthest from your mind at this hectic time of year. Or it could be the right time to list your property. Every home seller has their reason to go to market regardless of the season, just remember, properties sell around Cook County throughout the year. As much as there are sellers ready to take on the holiday season, there are buyers ready to find that ideal home they’ve been waiting for. 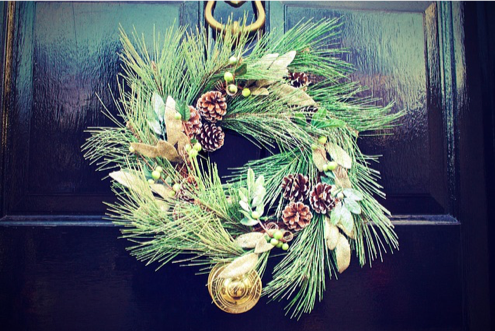 Stage your home for the holidays and take full advantage of the spirit of the season to draw potential buyers in. Create a welcome and festive atmosphere. This is what the holiday season is all about, getting together through various celebrations to enjoy the wonderful things in life, family, friends, and home. Think of the sentiment behind the idea of going home for the holidays. People return home for the holidays to see loved ones where they have a personal connection. If you create a welcoming and festive atmosphere in your home, you’re opening the door for viewers to envision creating their own memories of their loved ones coming to their home for the holidays in years to come. This is what staging is all about, giving potential buyers the spark of an idea which they can see themselves experiencing in their new home. There are just a few simple guidelines to follow in achieving a welcoming and festive atmosphere in your home. Remember, this is the holiday season, and its winter, the days are noticeably shorter now, so it’s time to light up the house. Keep to classic and understated holiday decorations. Where white lights establish the festiveness of the season, they also illuminate the darkest of corners and highlight the best features of your home. Choose a seasonal, secular theme, centered around natural elements and 2-3 colors. If red and green are your top picks for decor during the holidays, choose earthier, jeweled tones like cranberry and pine to create an elegant, classic holiday look in key areas of the house. Focus on 4 key rooms only for your decorating. The Porch/Entry, living room, dining room and kitchen. Holiday décor done well sets the tone of welcome and seasonal greetings by bringing a bit of the serene, natural world inside. This idea comes from old traditions such as the yule log and boughs of holly. A gathering of winter greenery in the darkest of nights helps make a home feel merrier. Focus on the fireplace and hearth and the stairs with simple and elegant garlands, add a centerpiece to a few tables, keep some holiday deserts in the kitchen, hang a wreath on the front door. These bits of seasonal decor will bet set off by the lights establishing that festive air you’re looking for in a way that also shows off your home’s best features. Staging a home for the holidays is also in the details. Bring the feeling of comfort into your house with fresh throw pillows and blankets as well as heavier drapes which help retain heat and flannel sheets with thick quilts and comforters on beds. Seeing these things through your home will instill the sense of cozy comfort. Add some books to a night stand and set up a reading nook. If you have a fireplace or woodstove keep it clean and have a fire burning before any showings. Scent is also a powerful memory trigger. Many of us are taken back to childhood by the smell of holiday cookies baking, or the aroma of orange and cloves mingling in the air as you made natural ornaments to hang on the tree. Try this sometime if you haven’t yet- it’s adds a nice seasonal scent to the air yet doesn’t overwhelm. Another option is to simmer a seasonal potpourri on the stove, add in cinnamon, oranges, cranberries, star anise and cloves with water and you have an enticing aroma sending a seasonal welcome throughout the house. Get the most out of listing your property at the end of the year and stage your home for the holidays. Check out this HGTV photo gallery for more ideas. Whether you are selling or buying a home, you want it to be a stress-free and easy process. With a local, experienced Realtor® you can sell or buy with confidence. You can rely on the Driscoll Properties Team, we’re ready to help today. Learn more at our website, DriscollProperty.com, then contact the Driscoll Properties Team at 847-533-6786.